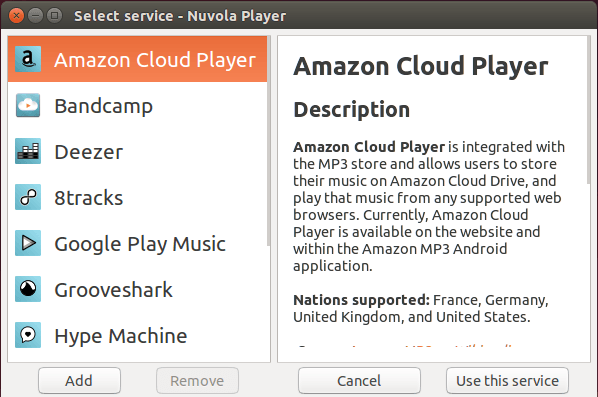 Linux desktop music player Nuvola has reached v2.4.1 with support for Amazon Music Prime streaming. Nuvola is a free and open-source music player that brings many cloud music services, such as Amazon, Bandcamp, Deezer, 8tracks, Goolge Play Music, Grooveshark, Hype Machine, Logitech Media Server, Pandora, Rdio, and This is my Jam. Disabled test suite failing under Fedora’s mock tool. Added a work-around to get rid of ABOUT protocol source missing dialog. Fixed a memory leak in Media Player Remote Interface and optimized metadata property. Added support for Amazon Music Prime streaming. 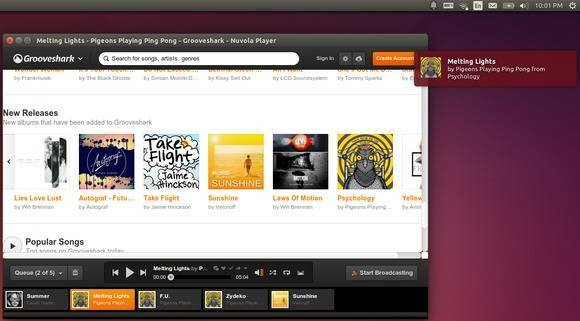 This player is available in the developer’s PPA for Ubuntu 14.04, Ubuntu 13.10, Ubuntu 12.04 and their derivatives. If you don’t like Ubuntu PPAs, directly grab the .deb packages from HERE.